Prof. Oliver Fiehn has pioneered developments and applications in metabolomics with over 220 publications to date. 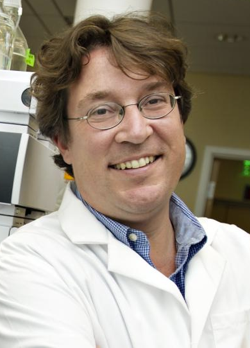 He is Director of the NIH West Coast Metabolomics Center, supervising 35 staff operating 16 mass spectrometers and coordinating activities with three UC Davis satellite labs, including efforts for combined interpretation of genomics and metabolomics data. For his work, Professor Fiehn has received a range of awards including the 2014 Molecular & Cellular Proteomics Lecture Award and the 2014 Metabolomics Society Lifetime Achievement Award. He served on the Board of Directors of the Metabolomics Society from 2005-2010 and 2012-2015, organizing a range of workshops and conferences, including the 2011 Asilomar metabolomics meeting and the 2015 Metabolomics Society international conference in San Francisco that reached a record of over 1,000 participants.